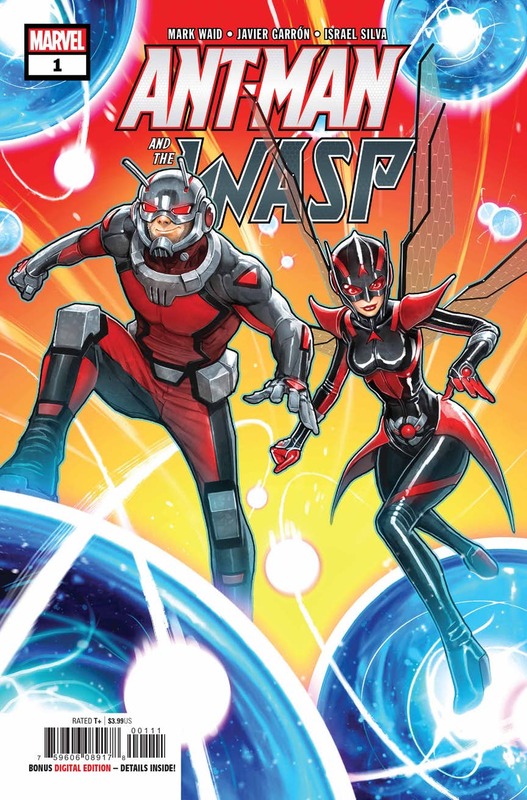 Jo S: Last month saw the final issues of some of my long-standing series, which has made some space on my list for a few new treats, and with good timing as the presses at Marvel have been running in top gear generating a huge portfolio of stuff which is just to my taste. 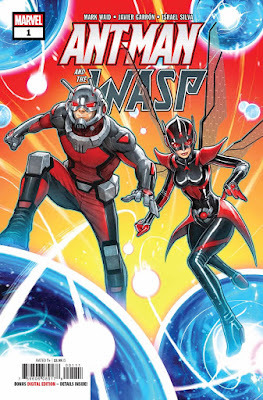 MCU connections abound: as the Rise Of The Black Panther series closes this week, having delivered a fascinatingly educative backstory to the Wakandan empire, a new Ant-Man And The Wasp series buzzes into life - there's actually a choice of Ant-Man and Wasp books this week, so I've gone for the Waid-Garrón miniseries. Mark Waid’s writing on the early parts of the recent Captain America series really appealed to me, and Javier Garrón’s art adeptly complemented Matt Rosenberg’s writing in Secret Warriors last year, so this collaboration has my attention almost more than the upcoming movie. While we’re on the ‘current movie’ theme, a new Deadpool #1 skydives into comic books stores, careens off a shelf, drops into a roll and tumbles straight under the cash desk, guns still blazing… This time the Regeneratin’ Degenerate is saving the Earth from destruction - yeah, we can trust him with that, right? And talking of regenerating immortal types, Hulk gets a horror-style makeover this month courtesy of Al Ewing and Joe Bennett. This is Hulk with a twist though: kill Banner during the day and he returns for vengeance when the sun sets as the Immortal Hulk. Finally I'll be grabbing my shredded jeans and safety pins as Dazzler stomps into her punk phase - not sure if it'll be my thing without the glitter ball and shiny white disco catsuit, but I'm open to considering a style change. Matt C: It's been a long while since I've picked up a Justice League book. It's been a long while since I've wanted to pick up a Justice League book. I'm still not sure I'm in that place again, and I've not been taken with what I've seen on the lead up to this relaunch, but with Scott Snyder and Jim Cheung in charge of the proceedings I'm going to have to take Justice League #1 home and optimistically hope for the best. It's one of those comics you kind of feel should always be on your pull-list because of its unlimited potential, like Avengers or X-Men, but it doesn't always click these days. In all honesty I'm probably more curious how Death Or Glory #2 fares - the debut was pretty engaging but perhaps not as strong out of the gate as some of Rick Remender's other creator-owned titles. He has a very good track record though so it's definitely worth another look. Marvel have a few #1s out this week, the only one that really catches my eye is Doctor Strange #1. Mark Waid and Jesus Saiz are in charge and, just as Black Panther did a couple of weeks ago, the Doc is heading out into space for some adventuring. Space is where it's at these days, folks!